Good morning, Friends! I am so sorry it's been a while since I have posted. I suddenly ran out of time for making cards before my parents got here. I actually have been making cards but they are for specific design editions. I will be back at it soon enough so hang in there - lol! 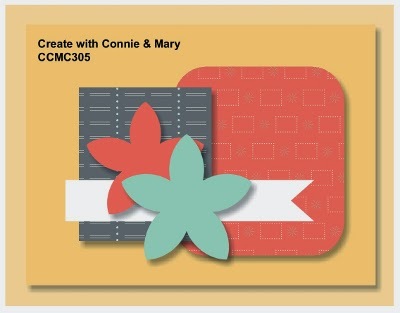 Today is another challenge from the Create with Connie and Mary team! This week we have a sketch to play with. Take a look! A super fun sketch and here's what I did! I went a little regal with this! Be sure to visit Create with Connie and Mary to see what the rest of the fabulous designers did with this sketch! I hope you will join us this week and play along! We always are inspired by what you do! Thanks for stopping by and have a super day! Gorgeous and very elegant! Love, love the gold pearls! 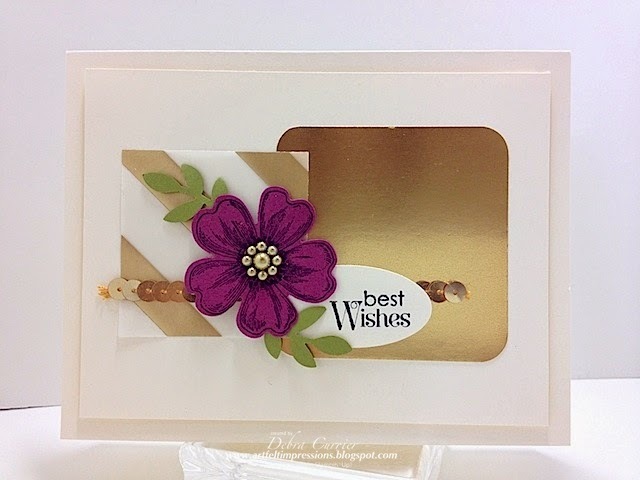 Love the gold accents with the pearls, vellum and DSP! Looks SO sharp with that Rich Razzleberry color! Great job with the sketch this week! Beautiful and elegant card Deb! I love the gold paired with Rich Razzleberry, so decadent looking! This is so elegant with all the gold layers. Very pretty! I would hate to give this one away! I love the gold accents everywhere - the razzleberry flower really stands out. Genius tip on the gold pearls - didn't know you could do that and they look great. The gold paired with the Raspberry is so striking! LOVE those gold pearls! I love your regal look of this card! The Rich Razzleberry and gold are a beautiful combination and the gold sequins are perfect with it! Simply gorgeous! What a beautiful card! I love all the gold on this card! And, gold paired with any purple is majestic...regal. This is so pretty!